InvisiLED PRO 5ft Tape Light in 4500K Cool White. Integrating high performance and innovative technology in a professional grade low profile lighting solution, InvisiLED Pro offers dimmable, energy efficient LED tape that installs easily to illuminate fine wood cabinets, granite countertops and crown moldings in luxury residential and commercial spaces.. Flexible silicone cased tape light for enhanced damp location listing. Peel and stick 3M construction adhesive on back. Indicator marks every 2" for field cutting at the end of a run. 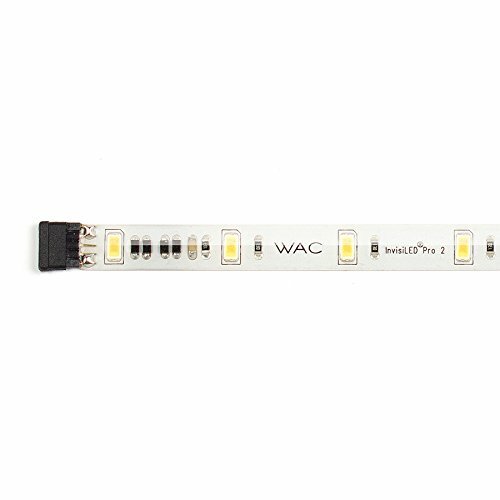 WAC Lighting tape light is available in four output options: Lite, PRO, PRO II, PRO II, as well as RGB Color Changing or PRO Outdoor 24V & 12V systems. 24V remote and plug-in transformers (Sold Separately) allow for multiple runs of tape. Please refer to total wattage of transformer divided by wattage per strip of tape when creating a layout. 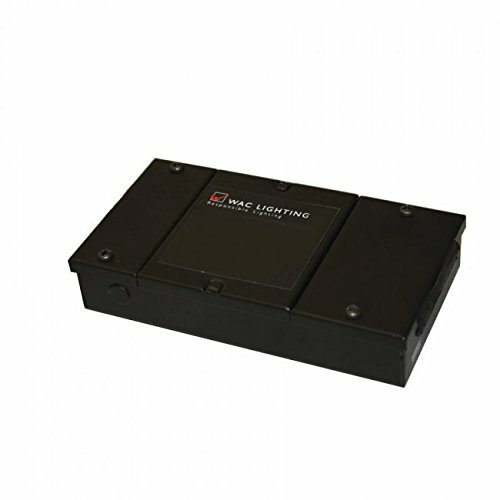 60 Watt Remote Transformer: EN-2460-RB2-T, 100 Watt Remote Transformer: EN-24100-RB2-T, Plug-in Transformer: EN-2460-P-AR-T. Smooth and continuous dimming to 10% with an electronic low voltage (ELV) dimmer. High Powered LED: Color Temperature: 2700K, 3000K, 3500K, or 4000K, Rated Hours: 50,000, up to 215 Lumens per foot, Voltage: 24V. Standards: UL and cUL Listed for damp locations. Our versatile 24-volt tape light comes in four colors making it perfect for unique accent lighting applications. This easily customized system brings life to spaces normally left dull and boring. This color changing 24V system is designed for any and all outdoor accent lighting applications. 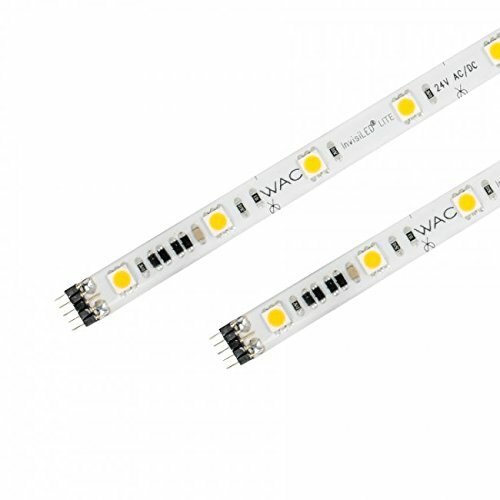 It uses the latest LED technology water sealed in silicone cased tape while still delivering crisp, quality light and effortless navigation of curves. 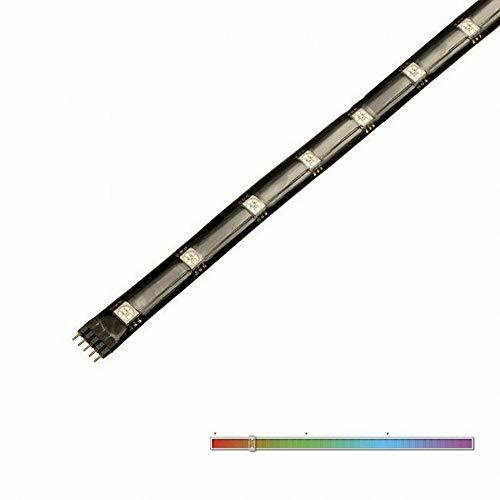 A color changing LED tape light system that smoothly transitions through the entire visible color spectrum, InvsiLED Palette allows colors to progress in a constant softly flowing manner with adjustable speed and brightness for unique custom color lighting effects, with wireless control options. 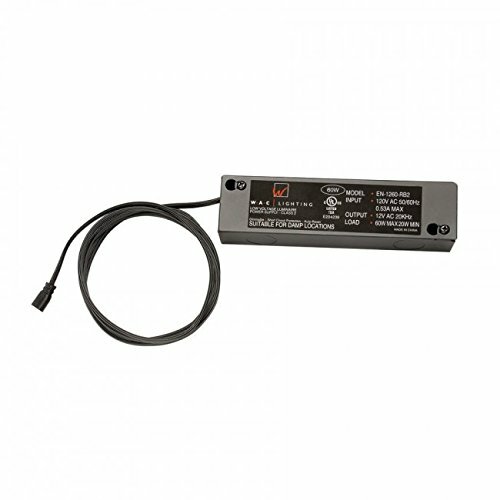 Minimum run length of 1' with a maximum of 40' per 60w Class 2 power supply Tape may be cut to length as indicated by the marking on the back of the INVISILED section. Cut sections may not be rejoined to start a new section and must be sealed with silicon after adding an end cap. 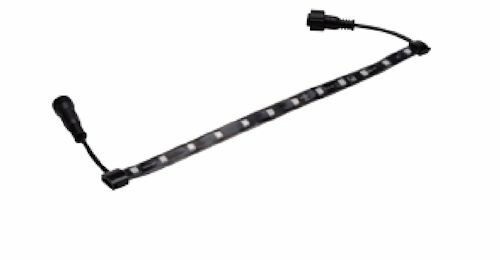 1.5W per foot 50,000 hours rated life DMX and wireless controller options. Warranty: 5 Years / Lumens: 40.0 / Efficacy (lm/W): 26.7 / Color Temperature (Kelvin): RGB / Estimated Hours: 50,000. InvisiLED Pro 3500K 12 LEDs per foot evenly spaced every 1" on center Silicone cased tape with 3M construction adhesive Low power consumption with high lumen output Minimum run length of 1' and maximum of 33' May be field cut every 2" at the end of a run May be dimmed with electronic low voltage (ELV) dimmer 50,000 hour rated life. 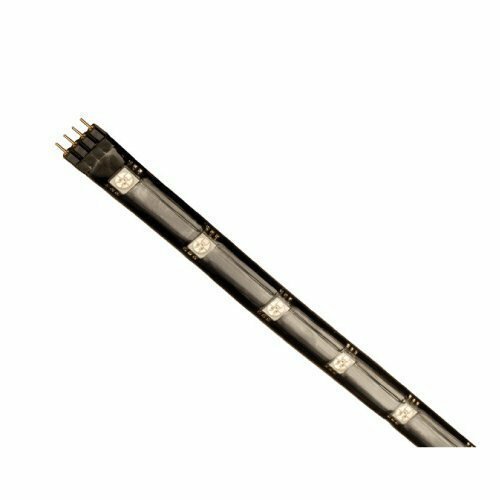 Warranty: 5 Years / Lumens: 200.0 per foot / Efficacy (lm/W): 66.7 / Color Temperature (Kelvin): 3000 / CRI: 85.0 / Estimated Hours: 50000.00. Looking for more Invisiled Under Cabinet Lighting similar ideas? Try to explore these searches: Belt Caddy, 02 Lincoln Navigator Grille, and Waste Disposer Flange. Look at latest related video about Invisiled Under Cabinet Lighting. Shopwizion.com is the smartest way for online shopping: compare prices of leading online shops for best deals around the web. Don't miss TOP Invisiled Under Cabinet Lighting deals, updated daily.